February started with a pang- a whole Saturday of training for the my oral examination in order to become a certified interpreter. We were three Romanian interpreters, two role-players and a certified English interpreter who volunteered to help us. It was really tough and I have to admit I had to swallow my pride a little bit at the end of the session. Everybody has stuff that need working on, but one never likes being reminded of that. Sunday I was so beat I couldn´t lift a finger. I had to take a nap for a couple hours after waking up because everything was blurry and I was feeling both nauseous and dizzy. I was so exhausted I almost got worried, but today I was ready to resume my normal life course. I had a day off and although I spent most of it on accountancy, I got to enjoy the rays of sun piercing through our window. 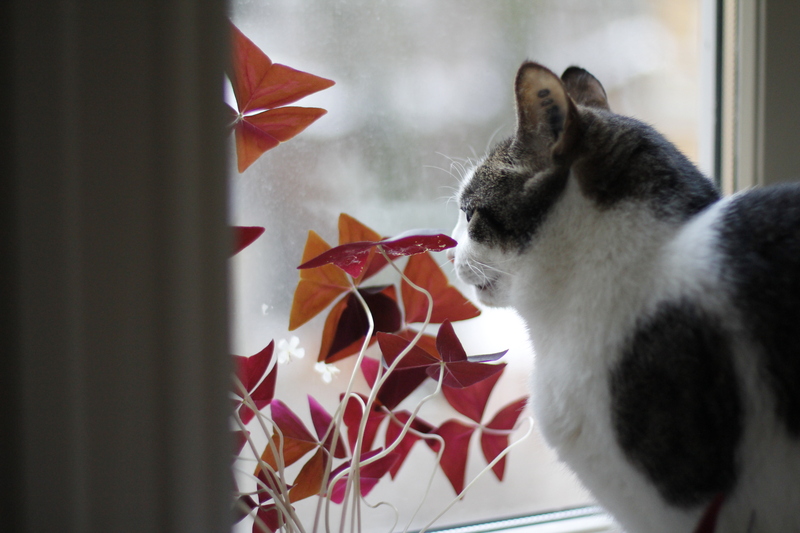 And so did our cat. 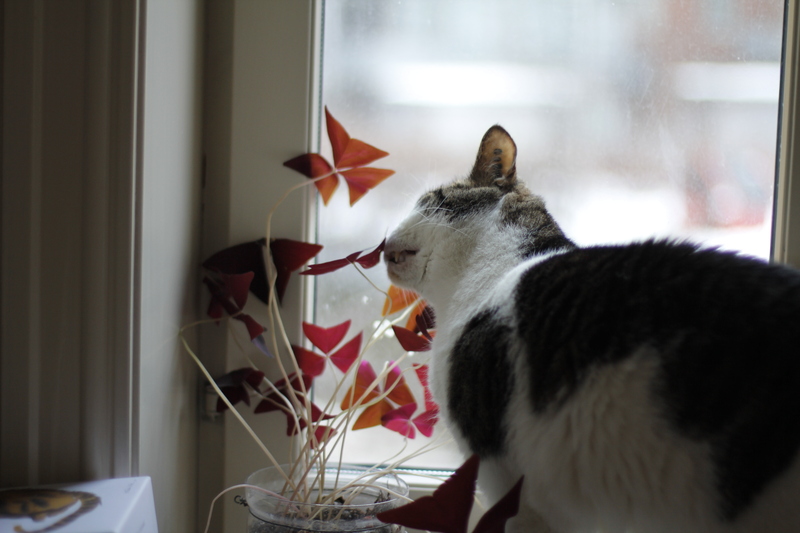 He was so happy observing the birds outside, probably sensing spring in the air, he wouldn´t move for ages, eating some leaves from my favorite plant (that makes him throw up) and warming himself up. In the afternoon a friend dropped by for coffee and we found ourselves reminiscing about our youth over a biscuit or two. I´m now making mousakka ´cause I need to get rid of all those organic potatoes and eggplants. Meanwhile, I´m sipping some wine and looking forward to Californication. 😉 Have a lovely week!